This is the first page in my art journal — and I wanted to make it special. So I inserted a Push-Pull feature. For the background of this page, I used Distress inks, blending tools and stencils to apply soft patterns to the background. I added washi tape to the spine (which was starting to split), as well as horizontally across the page to tie the left and right sides together visually. 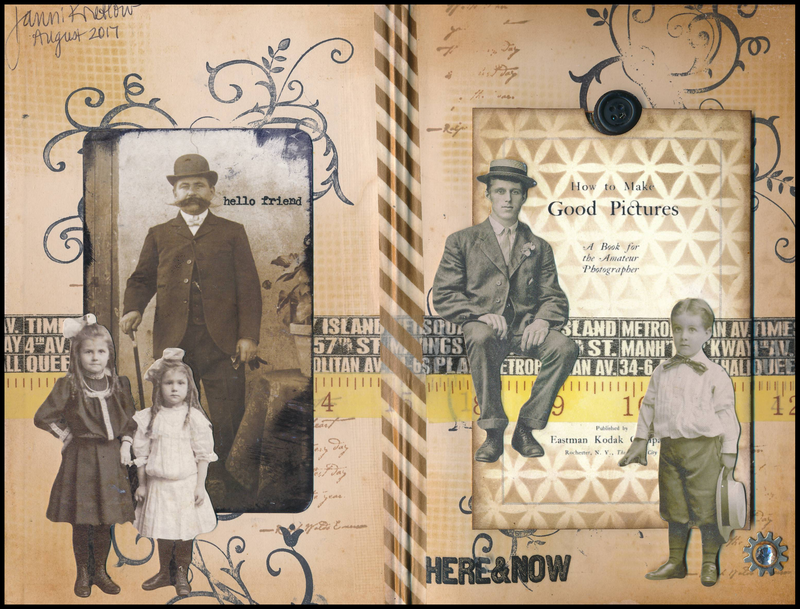 I added Tim Holtz vintage images, some rubber stamping, and some rubons. But my favourite part of this page is, of course, the push-pull pop-up! Me too! It’s so fun!